When we talk about LEAN management, Kaizan is one of the first word we all remember and discuss. In this article, let’s try to understand what kaizan really is and how it can be practically used to improve the working conditions and more importantly individual job satisfaction. It is utmost important that all employees feel valued in the workplace regardless of their position and the pay grade. A firm which has Kaizan built into its culture will improve the working conditions and bring all levels of employees and management together to achieve common goals. Japanese word Kaizan means change for good which we call continuous improvement in English language. 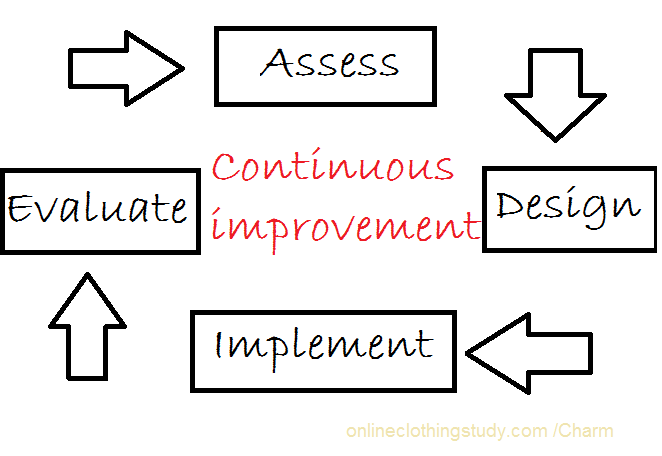 Continuous improvement highlights the fact that there are always room for improvement and never become complacence with current way of working, rather always explore ways to improve the current methods and systems. it is important to have clear improvements in pre-set intervals. It can be a significant improvement or a marginal improvement but there should be noticeable improvements. So who’s expected to work on Kaizan? Well shortest answer is everyone. 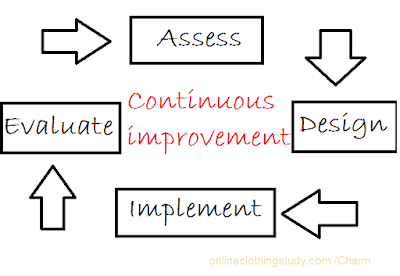 It is important to understand that LEAN is not just a concept to reduce waste in manufacturing. LEAN is a philosophy that every individual, family, society and even a country can practice to improve their lives. Why we need KAIZAN in our lives? Before we discuss how we could use Kaizan as a LEAN tool to improve the workplace, let us discuss how we could use it to improve our individual lives. It is widely accepted that we need to develop ourselves in 3 fronts in order to enjoy the life. Those are our knowledge, appearance, and soul. If we elaborate those concepts little further, it is widely agreed that having a good education, being street smart and developing a good common sense is essential to lead a healthy productive life. It is equally important to understand how the society work and develop our skills on manners, chivalry, dress sense and physic. We all heard the saying ‘first impression matters’. It doesn’t matter how much paper qualifications one has if he doesn’t know how to look good in a given situation as it will hinder the progress. Similarly, it is paramount to realize that in order to achieve long term success and progress, it is vital to understand the importance of having integrity, empathy and basically be a good human being. Understandably most of us need some work done in one of the areas or in some cases most of the 3 areas we discussed above. Simply we need Kaizan in our lives. Now if we look at our workplaces, some are operating smoothly and some are not so smoothly and often need assistance to get things together. Either way we all agree that no workplace is perfect just as no individual is perfect. However, the important factor here is to understand the need for improvement and explore ways to do it. Let’s take an example to see how Kaizan works in the shop floor. Successful Kaizan events will lead to another important tool of LEAN called standardization. We will explore this concept next week. About the Author: Charm Rammandala is the founder & CEO of IStrategy USA. He counts over two decades in fashion supply chain in diverse roles as Lean Manager and Model himself. He is an expert in rolling out programs in Lean apparel manufacturing and Sustainable labour costing. His former positions included being the first Lean Technologist at George Sourcing Services UK Ltd. Need of Kaizen in workplace as well as in our personal life.